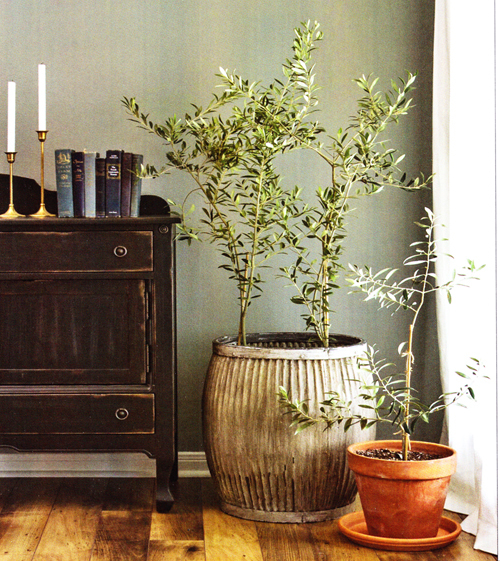 Have you ever thought about growing an olive tree in your living room? Well, it's not that difficult. We have seen lots of different kinds of plants, trees or flowers to grown in garden containers indoors but the Mediterranean look of a olive tree in a terracotta flowerpot can't be beat for beauty. There are versions that will grow up to 2 feet tall and other more hardy ones that grow to 6 feet tall so make sure you get the size you can use. These look stunning when set near a sunny window where it's soft, grey green leaves will flourish. Make sure you get a planter that is large enough to hold a good size root system and where the roots will not be cramped. Terracotta is a lovely, earthy look but a brightly colored glazed planter also looks perfect. You can use poly resin, concrete or sandstone garden planters also. 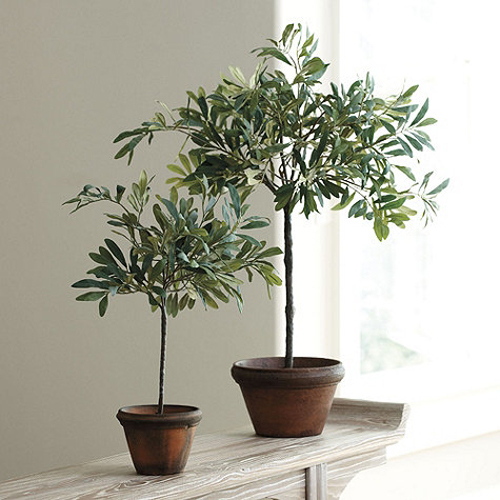 Olive trees are a symbol of peace and abundance and make a great housewarming gift. If you can't find them at your local nursery or landscape center you will find them online at a mail order source. 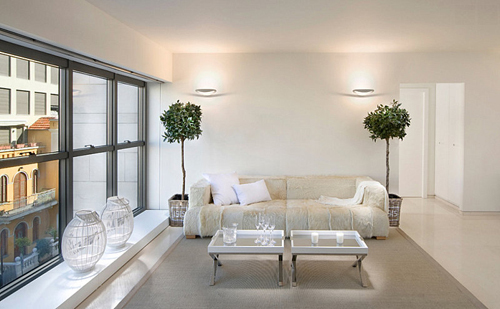 You will also find topiary trees that look wonderful when potted and placed indoors. The trees need at least 6 hours a day of sunlight in a south facing window. When the top of the soil feels dry it's time to water thoroughly. Work a slow release, all purpose fertilizer in the soil monthly during spring and summer months. Each winter keep the tree in a 40 - 45 degree room for at least 2 months with direct sunlight. Each spring transfer to a larger planter if necessary and trim the tree to shape it. That is it. Good luck and let us know how it goes!